We are Manufacturer & Exporter of Hessian Cloth. Our product range also comprises of Sacking Bags, Hessian Bags and Sand Bags.Our Hessian cloths are extensively used for making bags or as a cover to pack the material Jute Fabrics. Hessian cloth also called Burlap comes in packed either in bales or in rolls. Size/Dimension Width from 22" to 100"
Packaging Type Packed in bales of various yards / meters and also in rolls ranging from 75 to 500 yards / meters. Weight weights ranging from 5 oz to 16 oz / square yard. We manufacture and supply a range of Hessian Cloth. This is a plain weave cloth produced from Jute with single warp and weft. 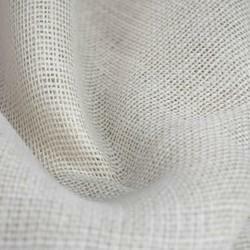 All types of standard and non-standard Hessian cloth are available. Our Hessian cloths are extensively used for making bags or as a cover to pack the material Jute Fabrics. Hessian cloth also called Burlap comes in packed either in bales or in rolls. 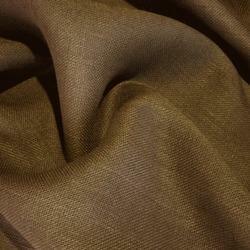 We manufacture and supply Bleached Hessian Cloth. Our Bleached Hessian cloths are extensively used for making bags or as a cover to pack the material Jute Fabrics. 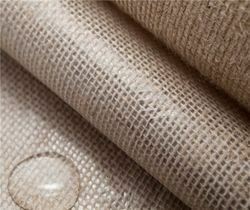 We are leading Manufacturer and Exporter of Laminated Hessian Cloths. We offer an extensive gamut of excellent quality Laminated Hessian Cloths to our clients.